Lock in a great price for Club Quarters Hotel in Philadelphia – rated 8.5 by recent guests! The location was great, just what wanted. The lobby/restaurant was lovely & welcoming and the service/staff were helpful & inviting. I liked the guest closets where you could grab your own extra pillow/blanket, etc. Easy access to the subway. It was a beautiful hotel and the room was just right for one night. Location was great. Really wonderful stay in the heart of the city. Attentive friendly helpful staff anticipated needs before even asked. Room was quite reasonable in size comfort and amenities. The AC worked fine and noise was minimal. The happy hour was u expected and a choice of three newspapers was really a plus. I would add a hook somewhere in the bath for hanging towels but did well using the bar at the top. I had a great stay. Stayed twice in this hotel - 12th floor had a great street view. Both rooms were not as small as could be expected based on reviews. Complimentary wine service at 5pm and breakfast snacks in the lobby. Super nice staff. Location is better than of most other hotels in the area. The location was great. Complimentary water, coffee, tea and snacks were a plus! Location was perfect. Loved the water bottle filling stations on every floor. Com0limentary coffee in lobby was delicious . Location is good. Free freshly ground coffee and tea in the lobby are great. Really liked the waterdispenseers on each floor as well as the happy hour. 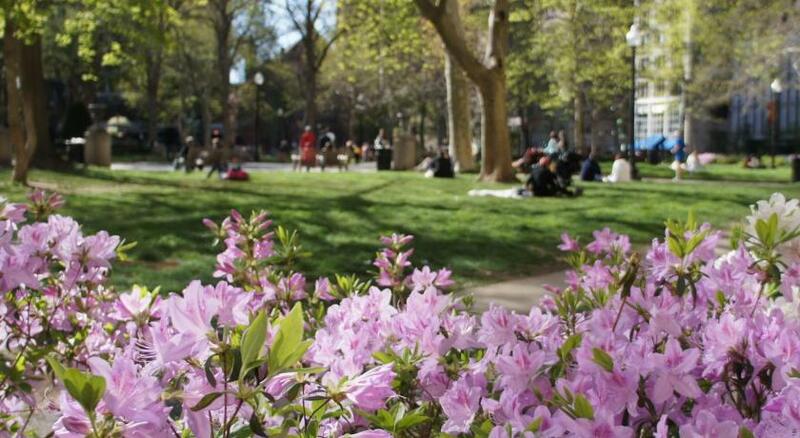 The location is good, Rittenhouse Sq is a desirable area for a weekend getaway. Club Quarters Hotel in Philadelphia This rating is a reflection of how the property compares to the industry standard when it comes to price, facilities and services available. It's based on a self-evaluation by the property. Use this rating to help choose your stay! 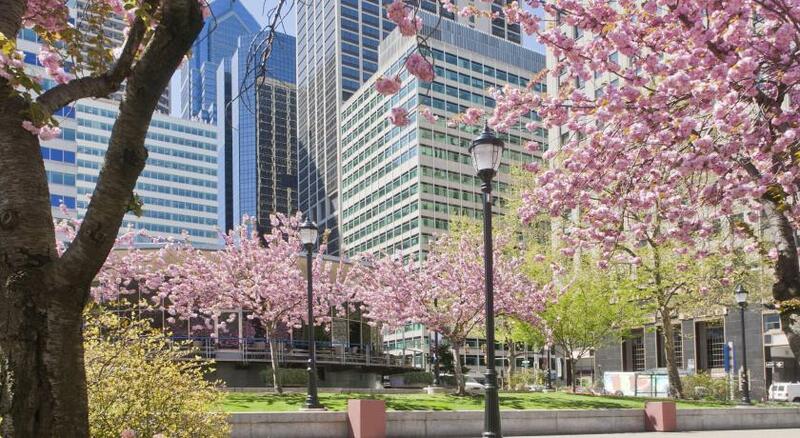 One of our top picks in Philadelphia.This hotel is located 550 feet from the Liberty Place. It features on-site dining and guest rooms with a flat-screen TV. Each guest room at Club Quarters in Philadelphia includes an iPod docking station and large windows. A work desk with ergonomic chair is also provided. The Philadelphia Club Quarters features a beautiful lobby with a vaulted skylight and plasma TVs. The on-site gym provides cardio machines and free weights. The business center is located off of the lobby. Free bottled water is available. The Suburban Subway Station is 1,600 feet from Club Quarters Philadelphia. The Liberty Bell Center is 1,050 feet from the hotel. 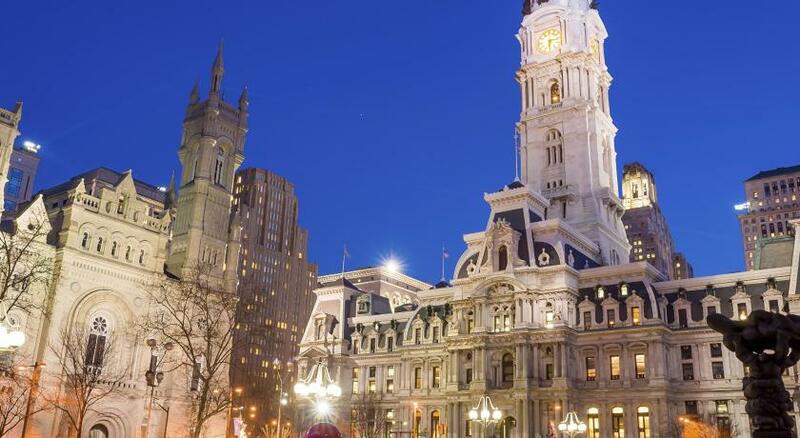 This is our guests' favorite part of Philadelphia, according to independent reviews. This property also has one of the top-rated locations in Philadelphia! Guests are happier about it compared to other properties in the area. This property is also rated for the best value in Philadelphia! Guests are getting more for their money when compared to other properties in this city. When would you like to stay at Club Quarters Hotel in Philadelphia? Room features a flat-screen TV, an iPod docking station and tea/coffee-making facilities. Private parking is available at a location nearby (reservation is not needed) and costs USD 28 per day. Featuring a flat-screen TV, this custom-designed room features an iPod docking station and a desk. A microwave and refrigerator are available upon request. This larger suite features a sitting area with a kitchenette with a refrigerator and a microwave. This spacious room features a microwave and refrigerator. There is a seating area with couch, flat-screen TV and a work desk. Our Club Quarters Hotel in Philadelphia is designed for the business traveler with modern amenities like free high speed Wi-Fi, convenient outlets at bedside and desk so you're free to work where you feel most comfortable and productive, Club Living Room access with free wireless printing, work stations, and weekday refreshments. House Rules Club Quarters Hotel in Philadelphia takes special requests – add in the next step! Club Quarters Hotel in Philadelphia accepts these cards and reserves the right to temporarily hold an amount prior to arrival. 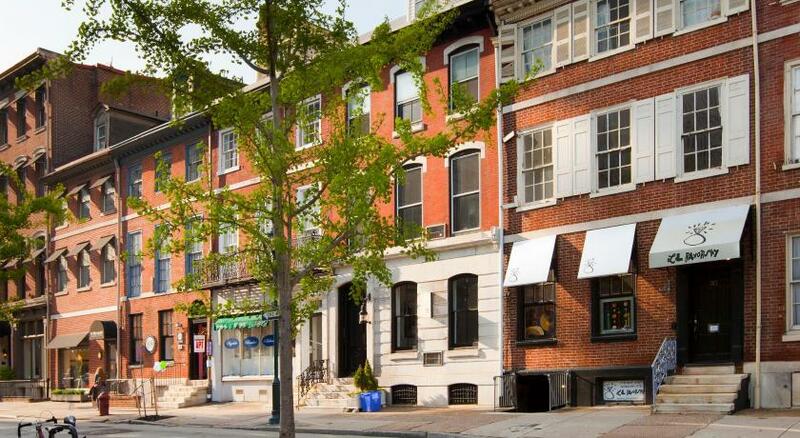 One of the most picturesque neighborhoods in Philadelphia! All the comforts are available. But the rooms are getting old. The room is nice and clean. The location is great! The bathroom had ants in it and the toilet seat cover had a burn or some other object stuck to it. The breakfast was not good as the restaurant is basically not open on weekend mornings -- very surprised at this. the 'continental breakfast had a tiny selection and we went to a local 'cheap' diner to get what we wanted on day one; day two we went to iHop. the room was small & poorly appointed in many ways -- too few towels, washcloths -- coffee was a cheaper brand and not replaced on day two -- too few pillows -- coverlet/duvet was old looking, almost no artwork, no dresser to put clothing, closet too small to put the suitcase and last but not least we had something like 1/5th of a window in the very corner of our room (poor view) and there was little light in the room itself just a tiny desk light & bedside lights -- not enough to compensate for the lack of daylight. Overall the room left a lot to be desired. Fortunately, we weren't there long and didn't spend a lot of time inside. The carpet in the room was dirty with stains. The mattress is very soft and uncomfortable. Smallish room for the full price. No safe. No fridge. The hotel is way overpriced. Tiny rooms, dirty floors and hallways. It has the look and feel of a hostel and not a business hotel.